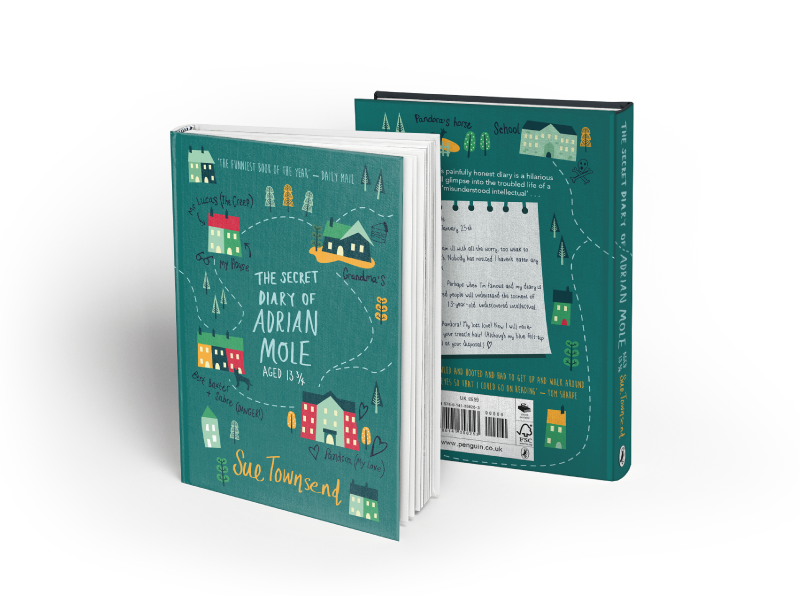 The story takes place from the perspective of Adrian Mole through diary entries. His life is centred in his neighbourhood and his friends and family who live there. I decided to show this by using the front, spine and back cover as the literal map of his diary. The signs and doodles are from Adrian’s honest, humorous views of the people around him. 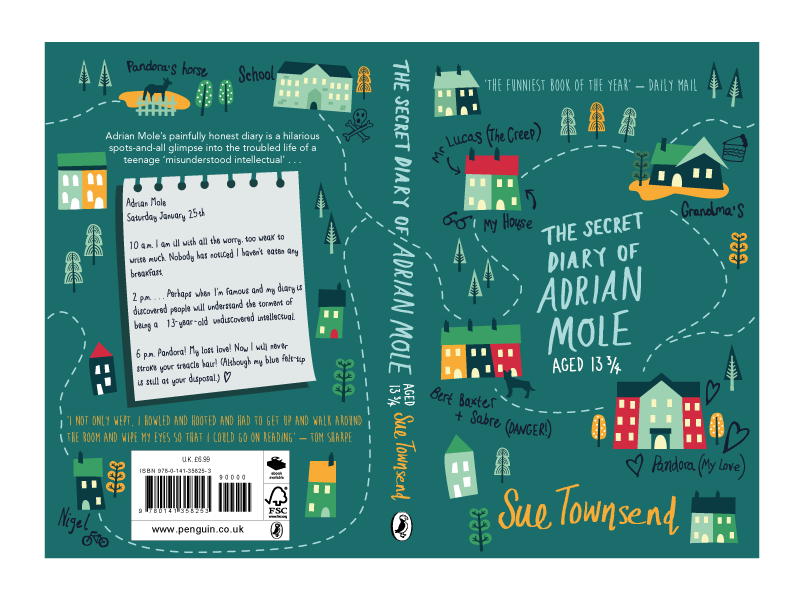 My cover aims to appeal to boys and girls by keeping the colours neutral and leaving a portrait of Adrian off the design. For the back cover I showed the main part of the blurb on a ripped piece of notebook to show that this part is straight from the character, Adrian.